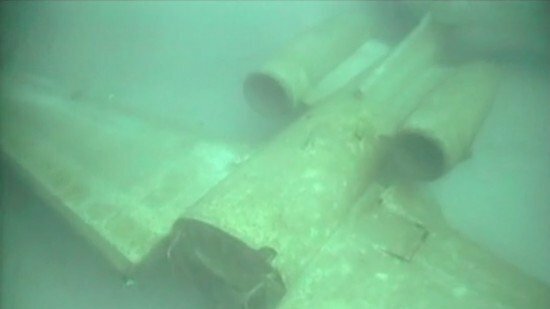 The Australian Transport Safety Bureau (ATSB) announced that they have formally re-opened a criticized investigation into the ditching of an IAI Westwind 1124A, off Norfolk Island Airport in 2009. The Westwind jet was a medevac flight operated by Pel Air from Apia, Samoa to Norfolk Island in the Pacific Ocean. Headwind was greater than expected and the weather conditions at Norfolk Island deteriorated. The crew had increasing concerns about their fuel reserves but did not divert to an alternate airport. Following four missed approaches to Norfolk Airport in poor weather, the pilot ditched the plane close to the shore. All six on board were rescued. Following an investigation, ATSB concluded that the pilot of the accident flight amongst others “did not plan the flight in accordance with the existing regulatory and operator requirements”. In 2012 an Australian Senate inquiry was held to after it was found that there were inconsistencies between the ATSB investigation report and a Special Audit from the Civil Aviation Safety Authority into the operator. One of the recommendations made by the Committee called for a peer review of ATSB methods by another transportation safety board. The action to reopen the investigation was taken by the ATSB Commission in response to this peer review, by the Transportation Safety Board (TSB) of Canada, of the ATSB’s investigation methodologies and their general application including in the Westwind accident investigation. The TSB review highlighted how ATSB methodologies could have been better applied to meet the expectations of the aviation industry and the public. The re-opened investigation will review the evidence obtained during the original ATSB investigation, and the report of that investigation, in the light of any additional evidence and other relevant points raised in the TSB review and separate reviews by the Senate Committee and through the Deputy Prime Minister’s Aviation Safety Regulation Review. The main focus will be ensuring that the specific findings of the TSB review are taken fully into account before issuing a final report of the re-opened investigation. The re-opened investigation has already requested a substantial amount of additional documentation from the operator, the Civil Aviation Safety Authority (CASA) and other parties. After reviewing the existing evidence and additional documentation, the investigation team will also be seeking to interview a number of personnel from the operator, CASA and other organisations, as well as re-interviewing occupants of the accident aircraft. In addition, the ATSB will take all reasonable steps to recover the flight recorders from the accident aircraft and download and analyse the data from them. The re-opened investigation is being conducted by an experienced team of ATSB investigators who have expertise in flight operations, human factors, organisational factors, air traffic control and cabin safety, and who were not part of the original investigation team. Oversight of the investigation team and lines of reporting to the ATSB Commissioners for the re-opened investigation have also been changed from the original investigation.